You are currently browsing articles tagged brown. 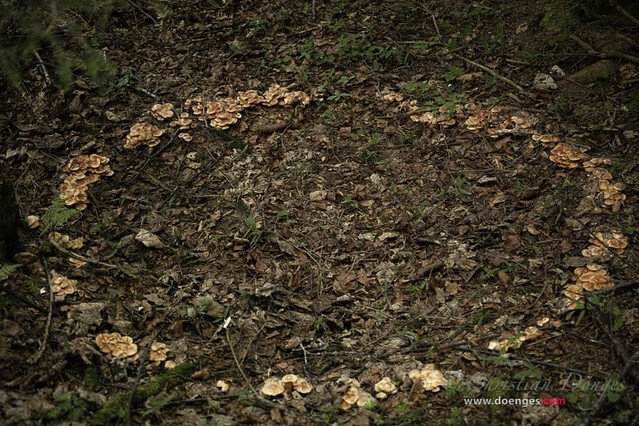 While hiking through a forest, I came across these mushrooms growing in an almost perfect circle. I was sure there must a good reason why they were growing this way, but I could not see it. Back home, I asked Wikipedia and it turns out these fairy rings are not uncommon. There are several theories why they grow in this way, but apparently there is no consensus yet. Until the scientists figure the mystery of the mushrooms out, the fact that they are pretty will have to suffice. In case you are interested, I deliberately underexposed by about -2 EV to get rich, saturated colors. Yes, the browns are now very dark, so the edges look like they may have been baked a bit crispy. 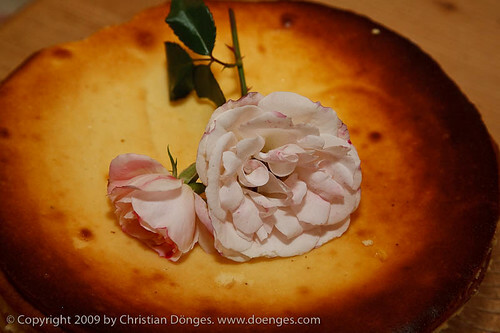 If this was for a cookbook (instead of a mood shot), I might use a mask in Photoshop to lighten the edges of the cake. As it stands, I prefer the mysterious, moody richness hinted at in this image.